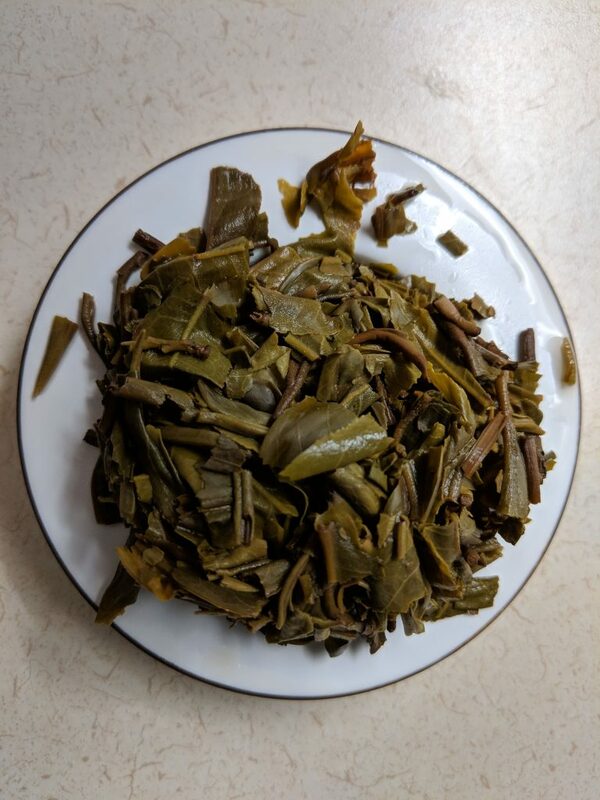 Yunnan “Pine Needles” Green Tea from Mengku, Spring 2018 from Yunnan Sourcing’s “First Flush” Spring 2018 Green Tea Sampler. 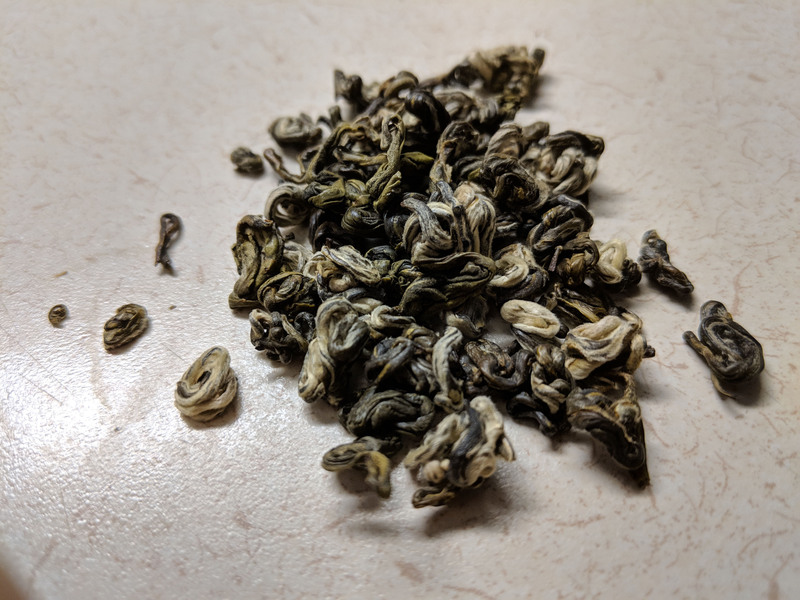 I sort of thought yesterday’s “Jade Dragon” would be the highlight of the Yunnan Sourcing Spring 2018 Green Tea Sampler, but this tea is even more interesting. 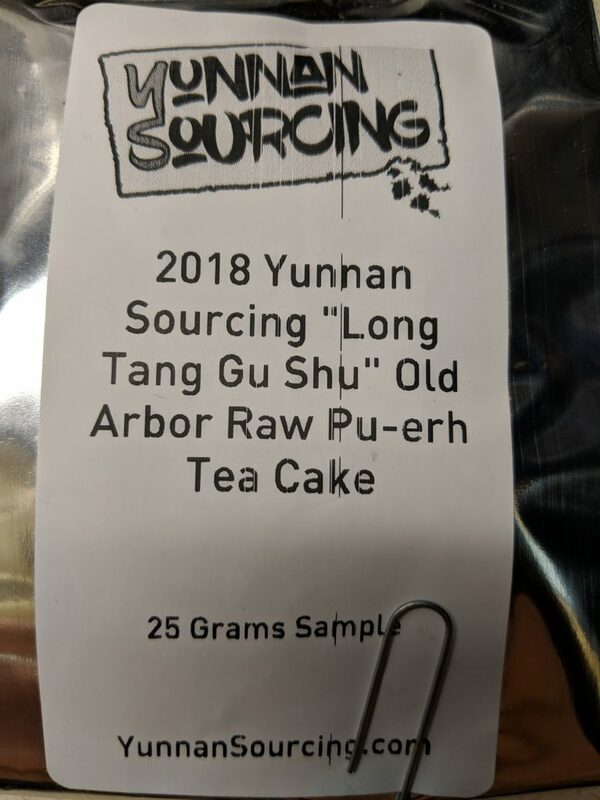 First, due to the name of the village it is grown in. 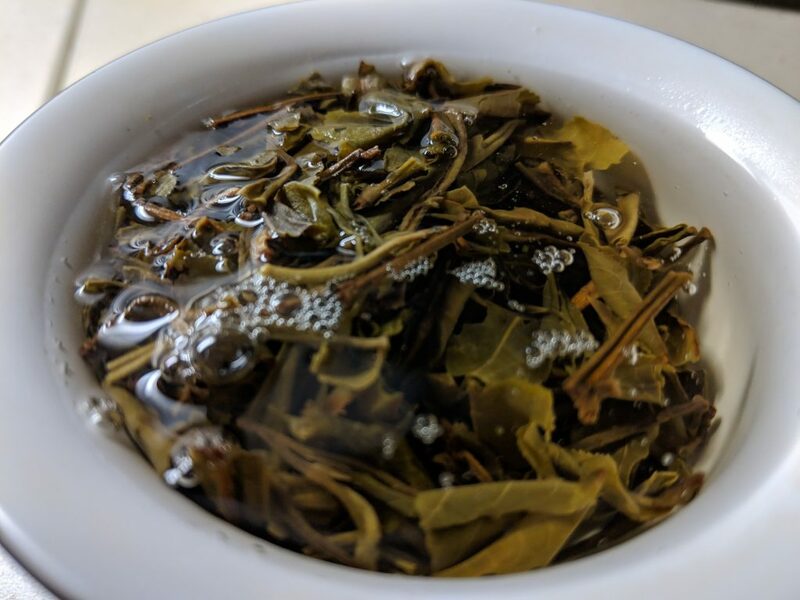 “This lovely tea is grown in Mengku County of Lincang in a village called “Dofu Zhai” (aka Tofu Village).” Tofu Village! 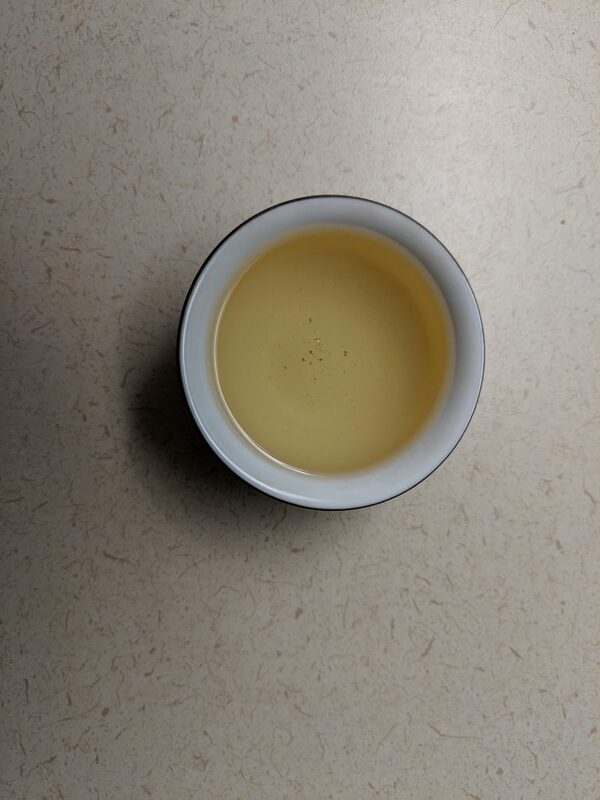 Second, it is a special varietal local to “Tofu Village” that is a hybrid of pure Camellia sinensis var. 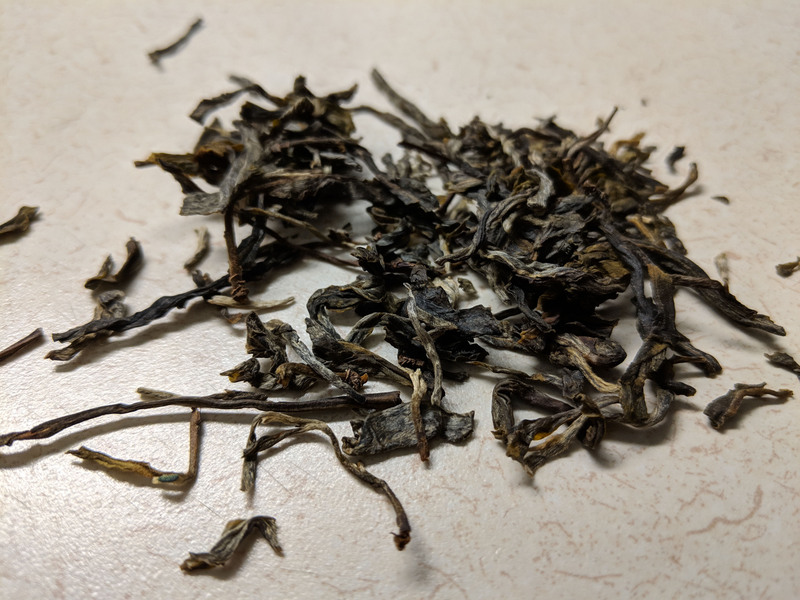 assamica and another varietal called “Change Ye Bai Hao”. 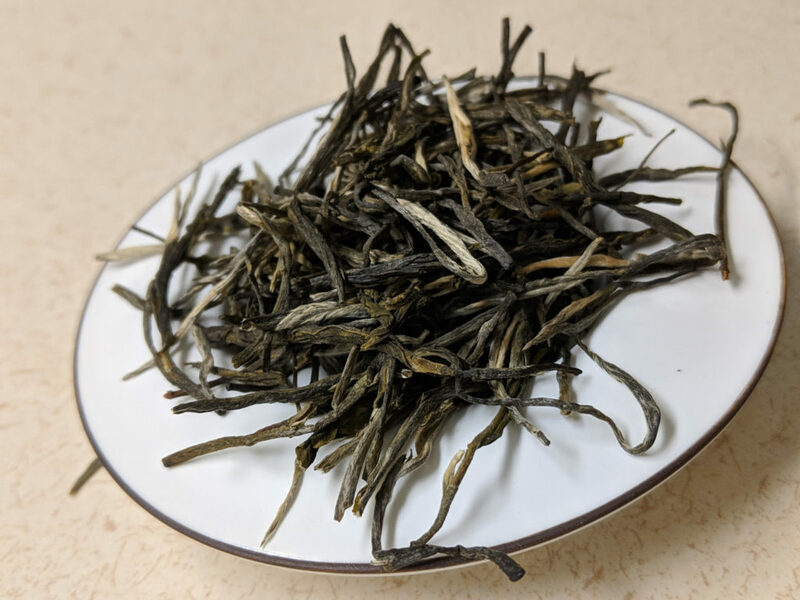 The name, “Song Zhen,” (or “Pine Needles,”) of course, comes from the appearance of the processed tea. 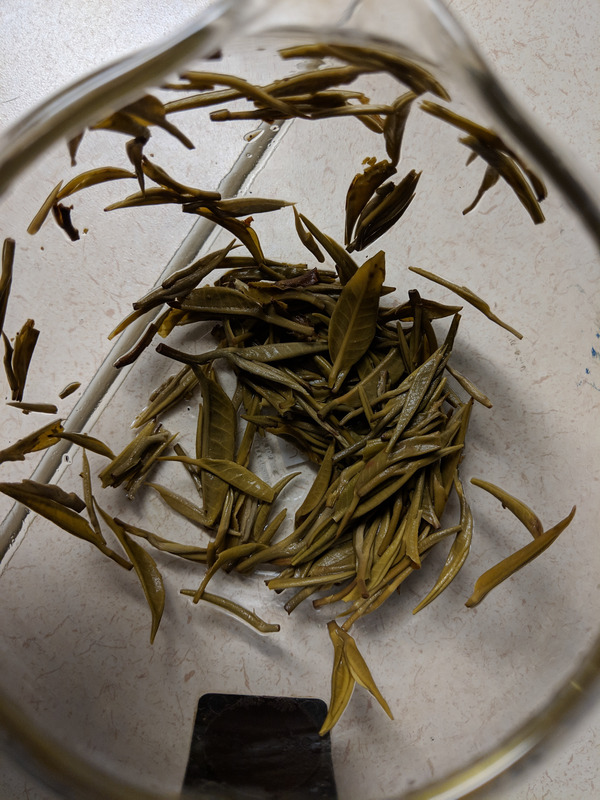 After the “kill green” step, they are rolled super tightly along the rib to have the appearance, for all anyone knows, of being a pile of pine needles. 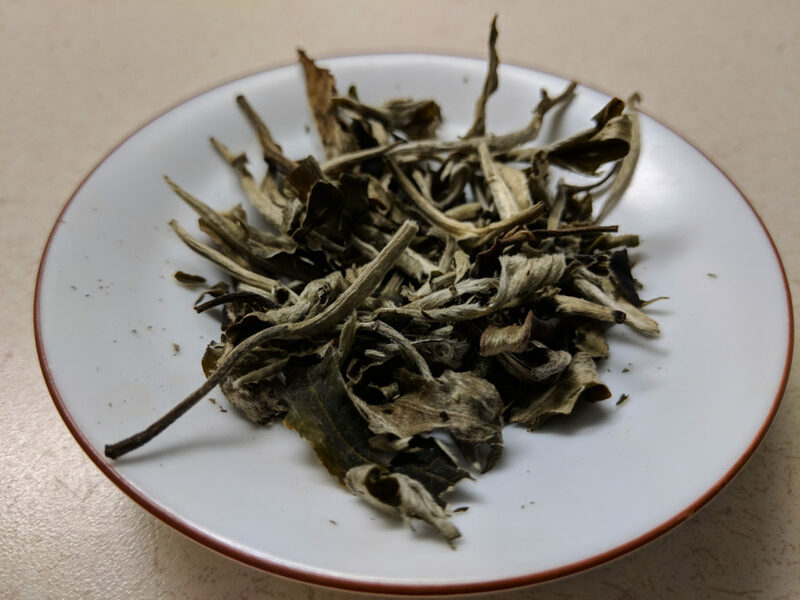 But, mostly, the tea is amazing due to its flavor. It comes out of the gate with a buttery caramel-esque flavor. Seriously. Which gives way to a mild stonefruit core. 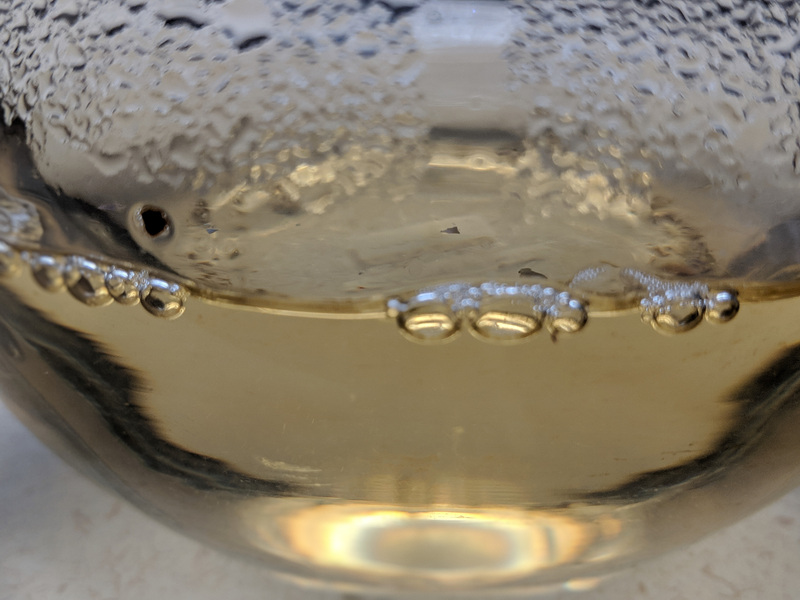 Finishes with sweetness, a touch of astringency, a very pleasant buzz, and a camphor/menthol sensation that seems to evaporate from your tongue. 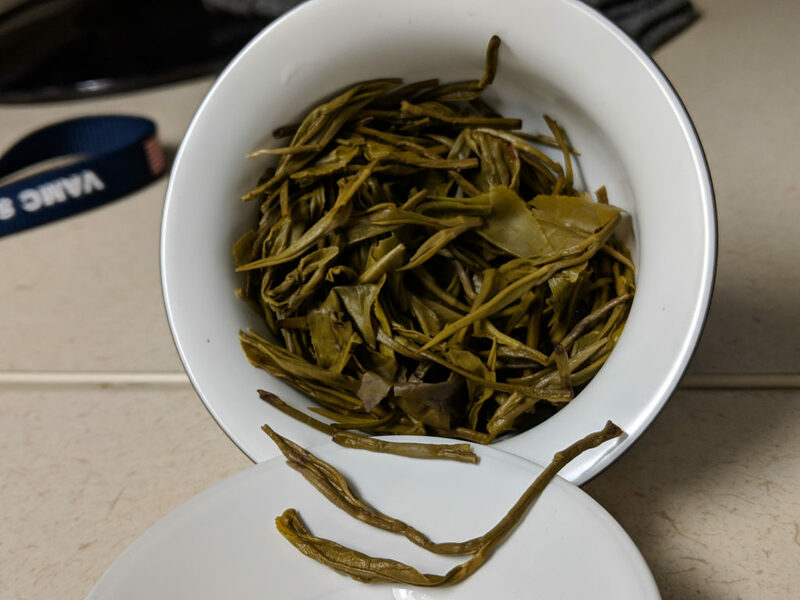 Yunnan Green Spring Snail Bi Luo Chun. 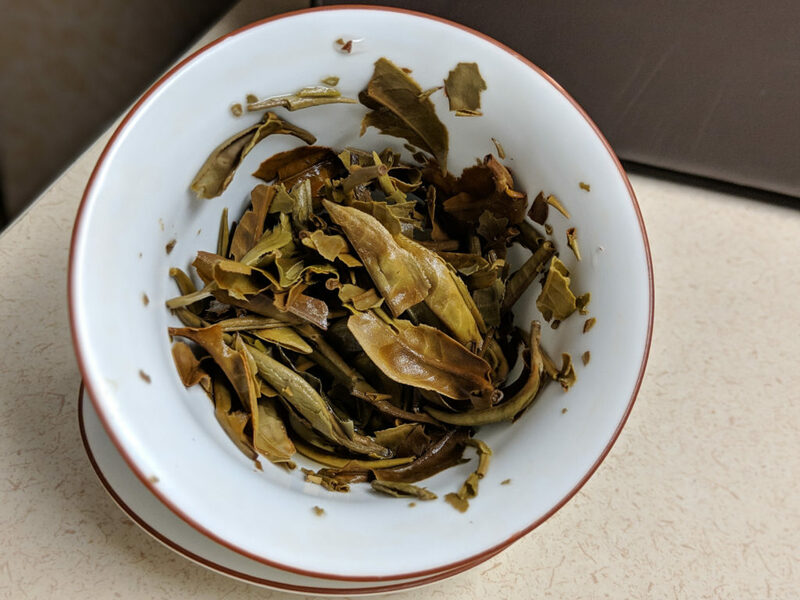 Yunnan Green Spring Snail Bi Luo Chun, Spring 2018, from Yunnan Sourcing’s “First Flush” Spring 2018 Green Tea Sampler. 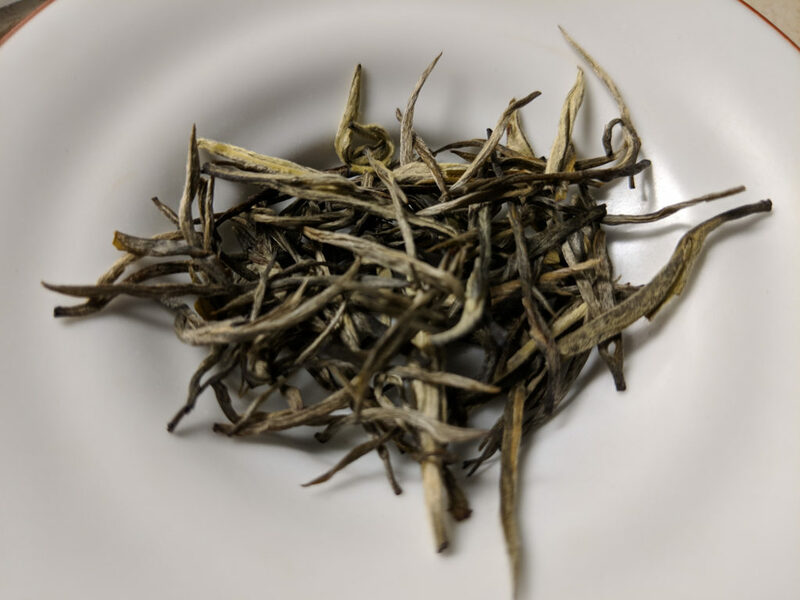 There are a group of teas, or type of teas, which are classically called, “China’s 10 Famous Teas” (or sometimes 8 famous teas). This classification goes back to before the communist revolution, at least late 1800s or early 1900s, maybe earlier. 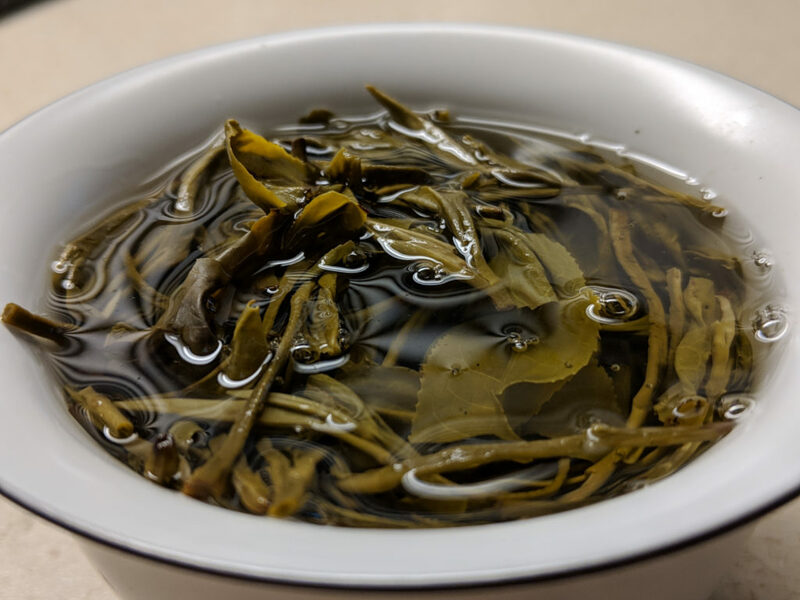 The list slightly varies a bit from source to source, but it is usually about half green tea. 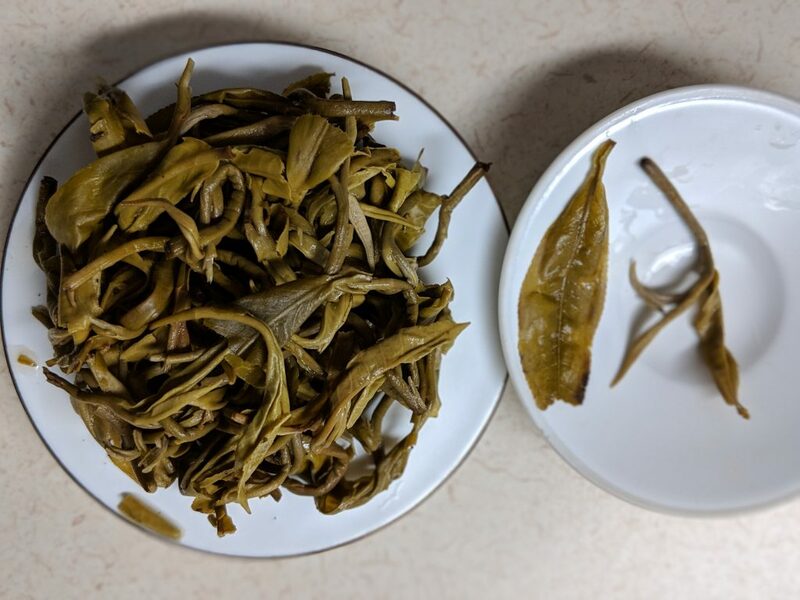 At the time, among those green teas, Lake Tai/Dongting Green Snail Spring from Suzhou, Jiangsu, was often considered the best of the best. Suzhou is in the Central Eastern province, Jiangsu, near Shanghai. 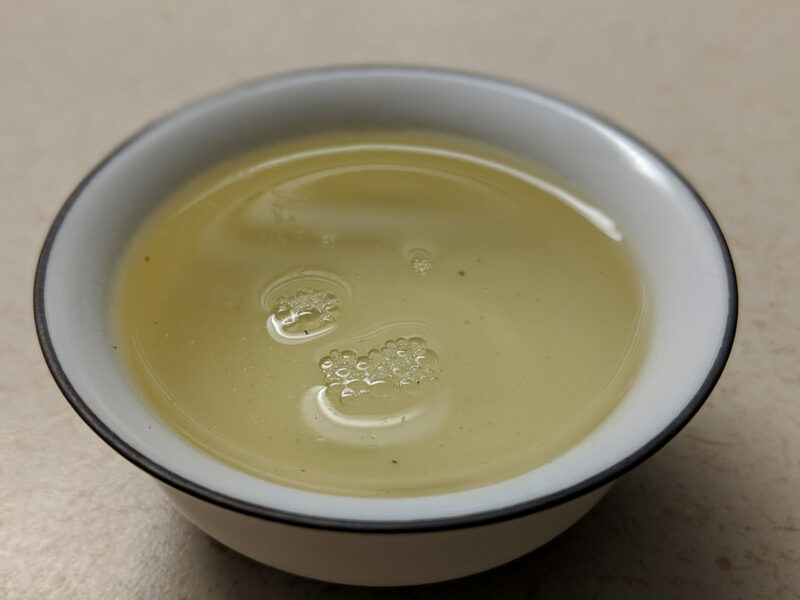 This isn’t Lake Tai/Dongting Green Snail. 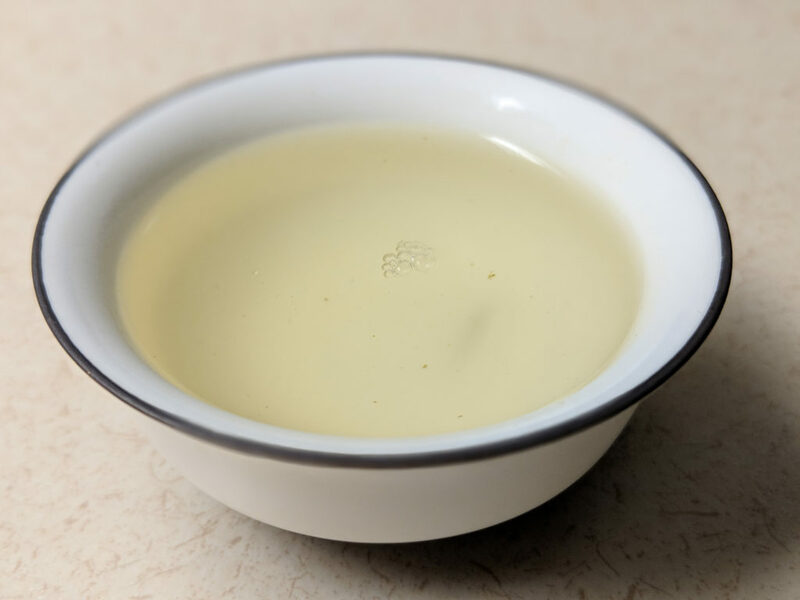 It is from Yunnan, which is a province in Southern China, bordering Myanmar, Laos, and Vientam. 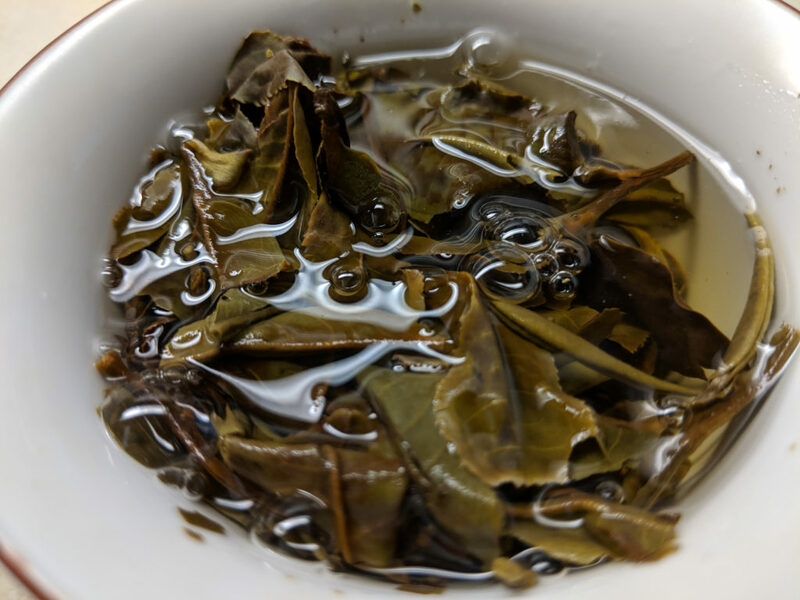 The tea grown in the Jiangsu area tend to be on small leafed bushes. The tea grown in Yunnan area tend to be on big leafed, well, actual trees. 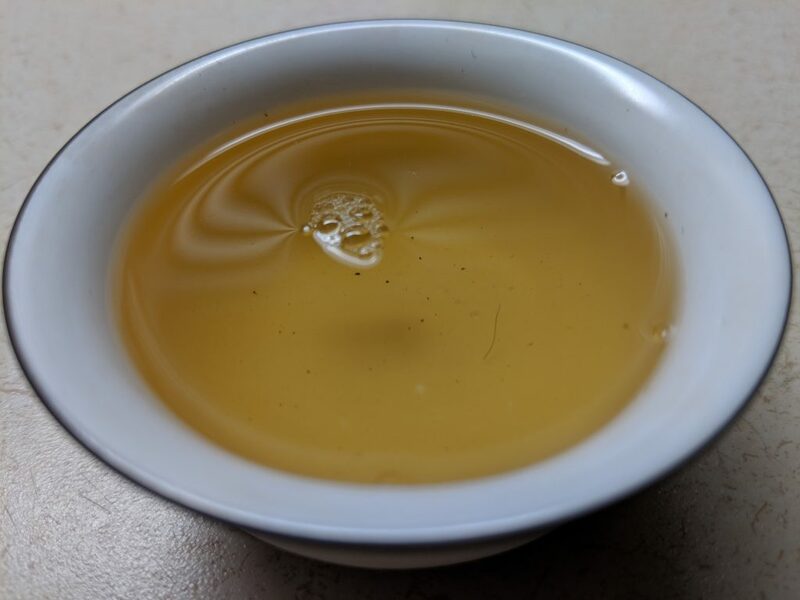 Distinct varieties of tea are grown in each area, due to the differences in climate. 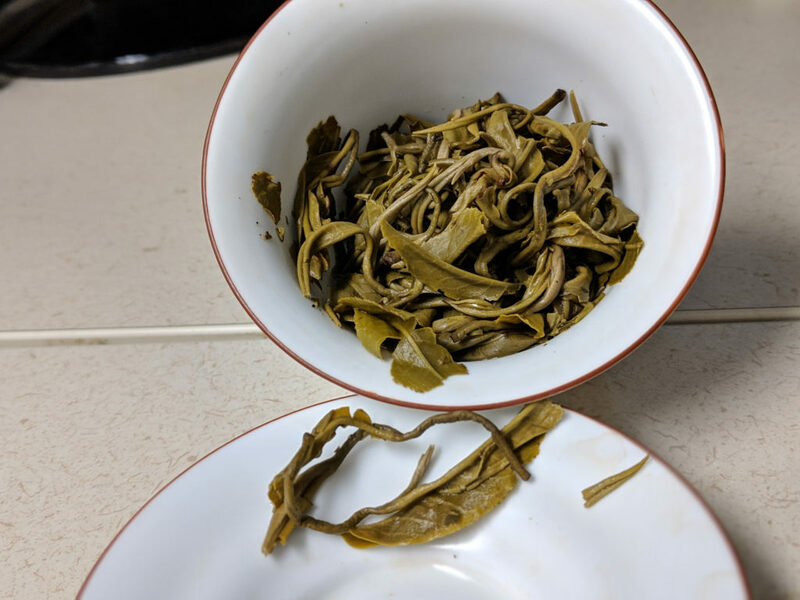 I haven’t had actual Bi Luo Chun from Jiangsu, so I can’t tell you how much this one resembles the other, but given the differences in regions, I don’t actually expect that this Yunnan Green Snail Bi Luo Chun tastes much like the real thing, from Jiangsu. 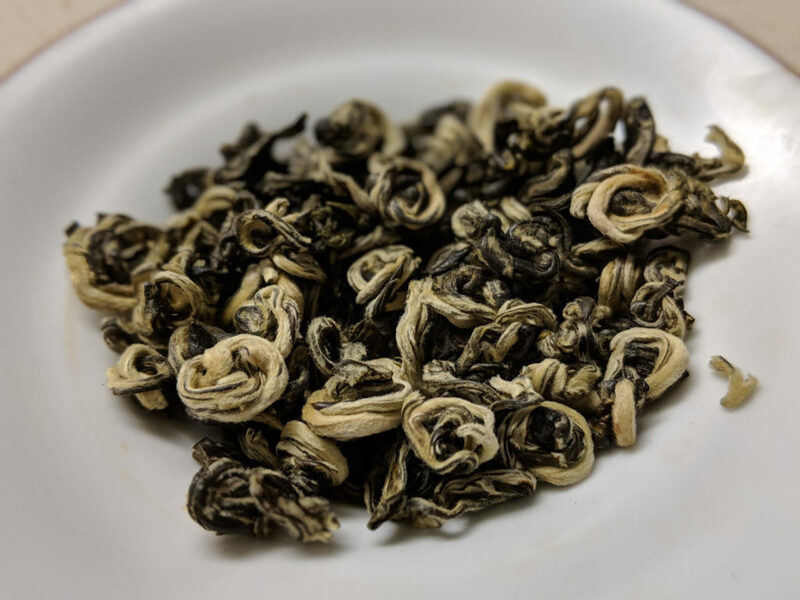 However, another distinguishing factor in “Green Snail” tea is how it is formed. 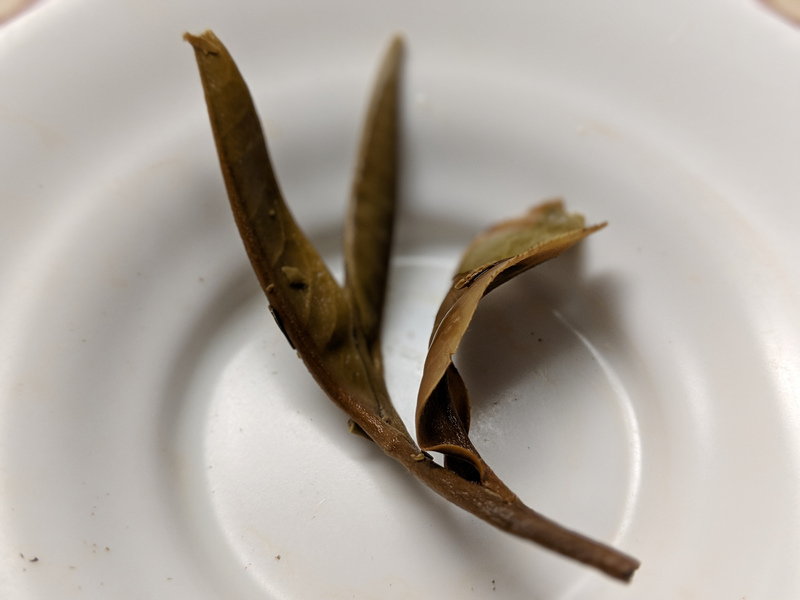 As I mentioned, after the “Kill Green” step, green tea is usually formed into shapes which allow it to be stored without damaging the leaves. 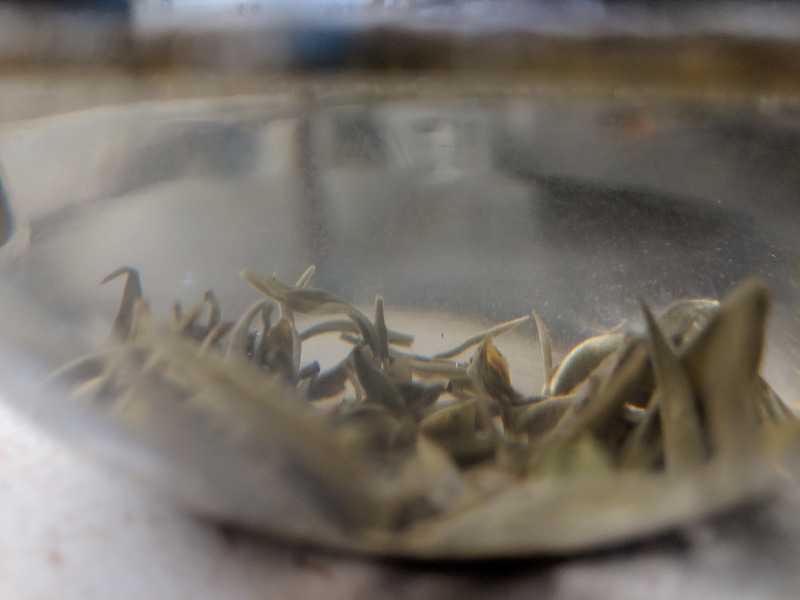 In the case of “Green Snail” the tea is formed into a sort of double coil. 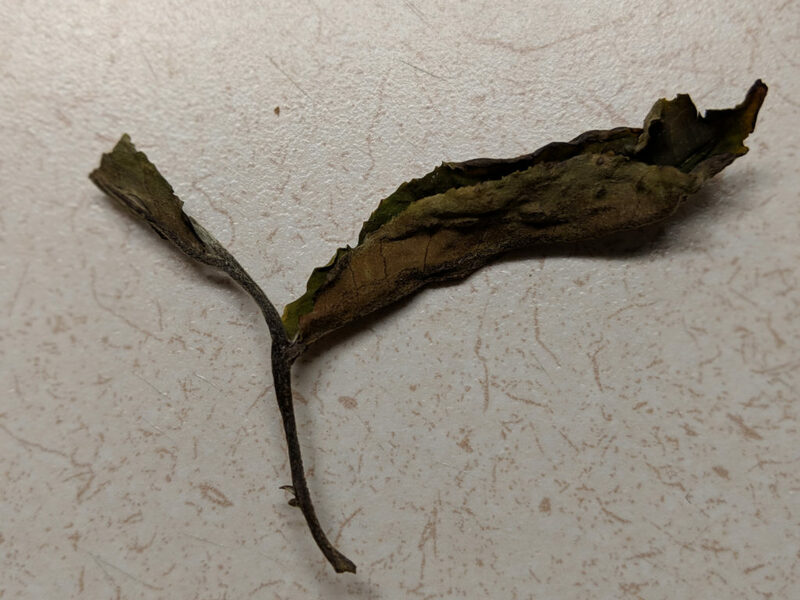 First the leaf is rolled vertically, then it is rolled horizontally. The shape is said to resemble a snail which has been cooked and pulled out of its shell. Well, which you can see from the picture, it does. Yum. 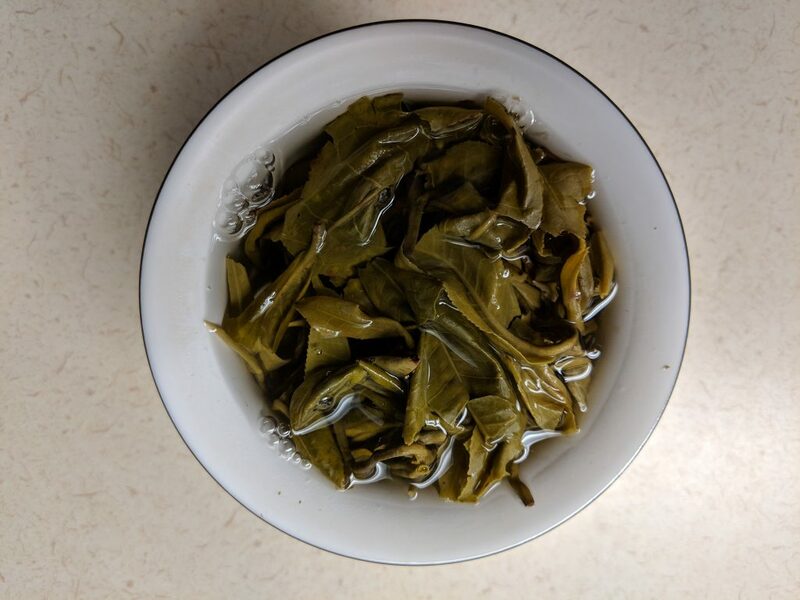 While this tea may not be real “Bi Luo Chun” from Jiangsu, it is a very solid green tea. 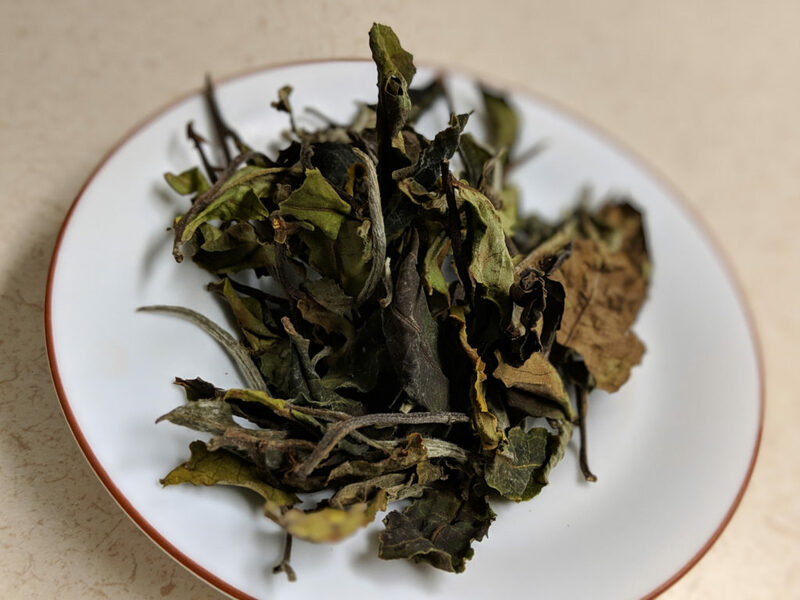 I find with these assortments from Yunnan Sourcing, there is usually a couple exceptional teas, one unusual tea, and one that is just a solid, well priced example of the classification. A daily drinker, if you will. 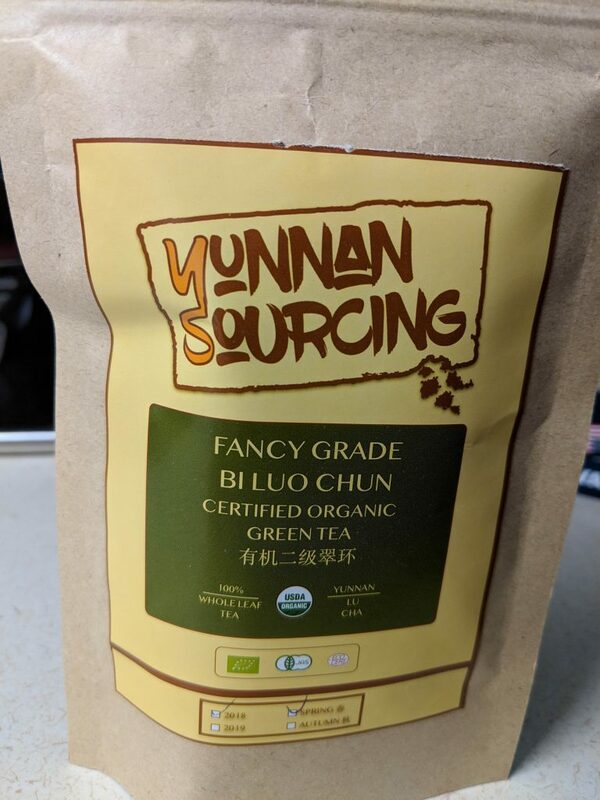 This tea seems to be the daily drinker in this bunch. 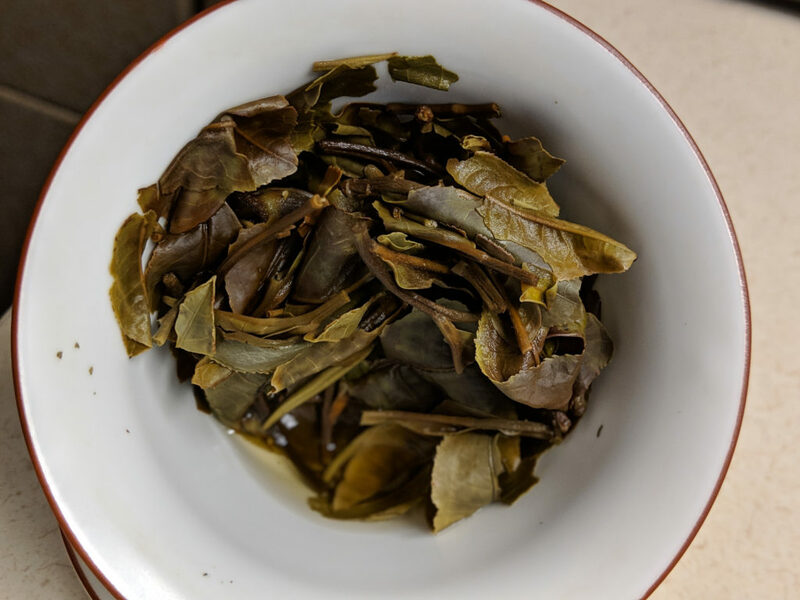 It is a super solid example of Yunnan green tea. Good clean flavor, forgiving of careless brewing, stands up to multiple brews, but doesn’t require it. I took it to my Mom’s house over the holiday and drank it every day.